Artikel omschrijving Opbergbox Really Useful 4 liter 395x255x88mm (lxbxh). 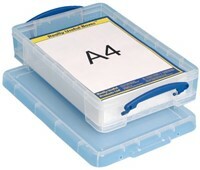 Specificaties Opbergbox Really Useful 4 liter 395x255x88mm (lxbxh). 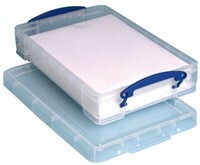 Accessoires Opbergbox Really Useful 4 liter 395x255x88mm (lxbxh). Kopieerpapier Navigator Universel A4 80 grams wit 500 vel. Afname per 5 pak. Opbergbox Really Useful 3 liter 245x180x160mm (lxbxh). Stel een vraag over Opbergbox Really Useful 4 liter 395x255x88mm (lxbxh).